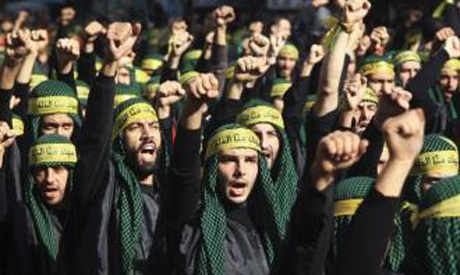 Turkish Deputy Prime Minister Bekir Bozdağ said on Sunday that Hezbollah, or 'the Party of God' in Arabic, should change its name to 'the Party of Satan,' blaming the Lebanese-Shia movement for killing civilians in next-door Syria. Speaking at an international symposium in Ankara, Bozdağ warned against attempts to incite sectarian strife, claiming that those responsible – particularly in Syria – remained at large throughout the world. The entire world should confront sectarianism, Bozdağ declared, according to the Turkish news agency Anadolu. Racism, he said, is "one of the deadliest diseases the world is facing," going on to assert that racism contravened Islamic precepts. Bozdağ referred to Turkish theologian Said Nursi, who – inspired by the Quran – brought Islamic society back in touch with its core values. Turkey has been fighting militant groups for almost 30 years. WHY BLAME CHRISTIANITY & JADAISM FOR TERRPR? WHY BLAME CHRISTIANITY FOR CENTURY OLD IRISH (CATHOLIC) AND BRITISH (PROTESTANT) TERRORISM? And Judaism for Terrorism in the Occupied Territories (Palestine)? Individuals, not religions, carry out inhuman acts. Islam is a religion of peace, accepted and practiced by more than 1.25 billion people worldwide. It is the fastest-growing religion in the world, and if it was what some critics claim, why should the people from all walks of life from around the world keep embracing Islam? Where is the sword now?